Tubes available in 0.65mL single tube or 1.1mL single tube, 1.1mL 8 tube strips, or 1.1mL 12 tube strips. SBS footprint, compatible w/ all robotic workstations. 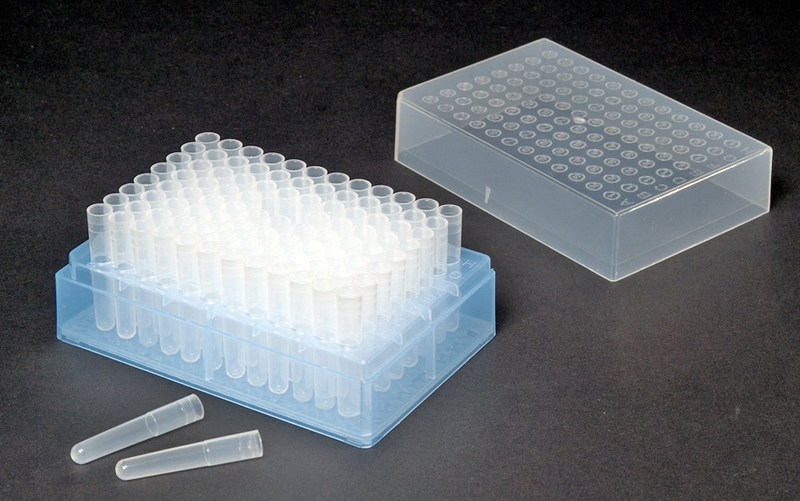 One way lid design, in conjunction with alpha-numeric grid ensures positive sample identification. Molded-in condensation rings on lid minimizes cross contamination. Polypropylene tubes and racks are autoclavable.